Philadelphia Weekend Weather & Storm Forecasts - Storm Forecasts & Other Things "up in the air". Based on the latest NAM, showers have ended but widely scattered light sprinkles are possible. 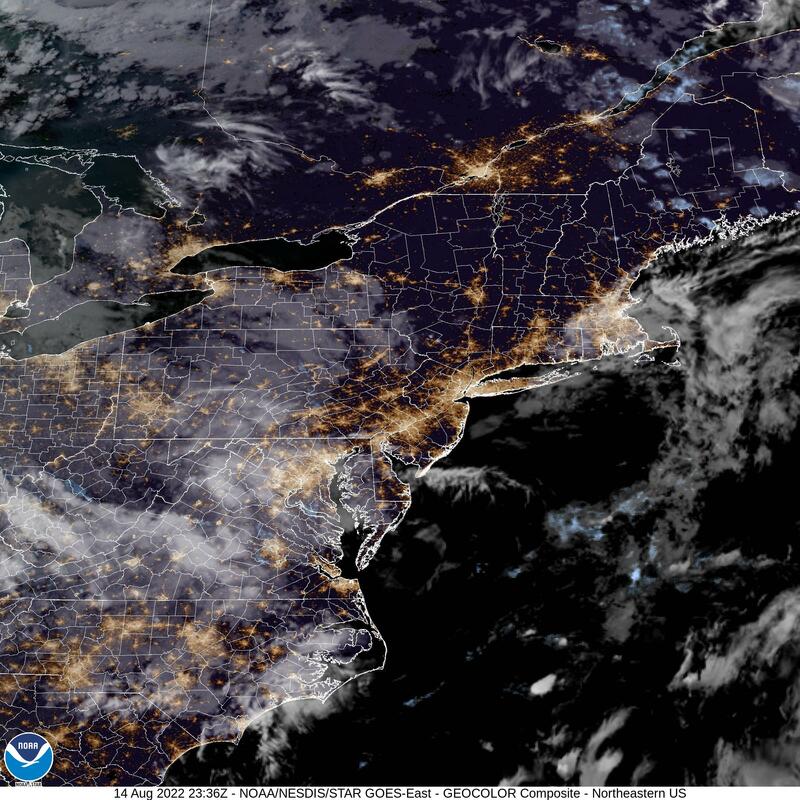 Low clouds lifting to brighter skies may be delayed until 2-3 PM today. The gusty windy conditions (Gusts to 35 mph) will continue and diminish later in the afternoon. The rain ends by 11 AM. Based on the 2 AM (06Z) NAM and GFS model runs, the low clouds should lift between noon and 1 PM, leaving brighter skies and some sun through a layer of higher cirrus clouds. Continued improvement in sky cover later in the afternoon. High temp 74-76. Currently, Sunday looks dry except some showers may develop in far western suburbs in the mid afternoon. High 67-69. Updated based on tonight’s NAM data just available. Those reading my posts over the past few days know that this weekend’s weather will be be influenced by a closed upper low, a situation where the models have trouble in placement of precipitation and timing of areas of vorticity that rotate around the upper low causing instability showers to develop. As a result, this forecast is lower than average confidence. For Saturday, the general trend has been for the main precipitation to end mid morning west of the city and later east into NJ. Low clouds thin around noon and some sun through high clouds is likely in the afternoon. High 69-72. It will be windy. Sunday will have a mix of clouds and sun. Instability in the mid afternoon may allow clouds to redevelop with light scattered showers possible, especially in western suburbs. Highs 66-69. Light winds. Last night’s GFS maintains a QPF of 2 inches of rain over the Philadelphia area, occurring after midnight tonight. Rain tapers and ends Saturday morning with a mostly dry Saturday and some sun and clouds. 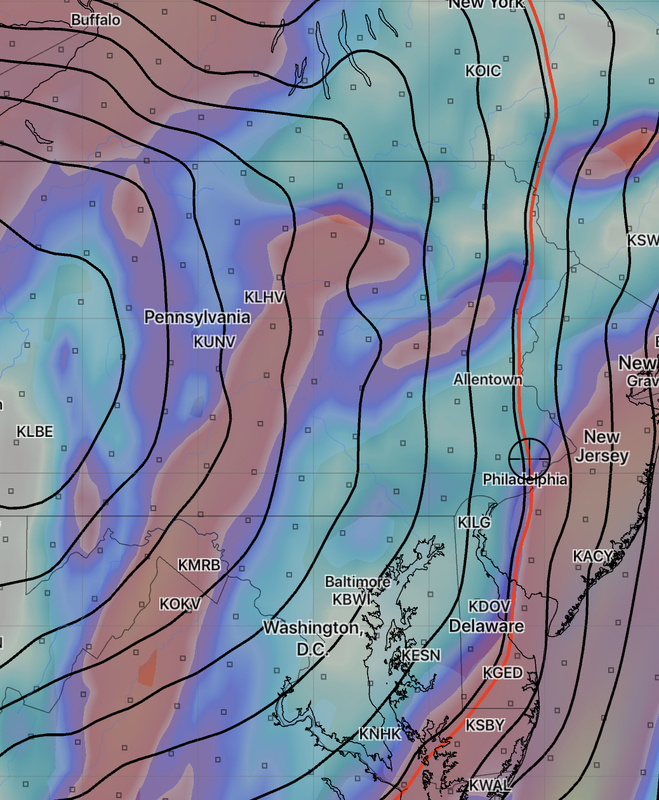 GFS 6 hour accumulated rain depicted at 3 AM Saturday morning. The NAM has the heavy rain to our east. Large uncertainties with the heavy rain placement remain due to the closed upper low pattern. All models have it dry for Saturday afternoon. Tonight’s NAM is a perfect example of how a closed upper low plays havoc with the model’s ability to accurately predict placement of precipitation. The forecast below still looks good for Saturday and Sunday. Some sun Saturday afternoon is looking like a strong possibility. An upper closed low pressure system and a surface low will affect our weather over this weekend. The weather produced by an upper closed low is notoriously difficult to predict – the exact position and movement of the system can be challenging to forecast and the placement of the rain produced by the low is often forecast inaccurately by the models. 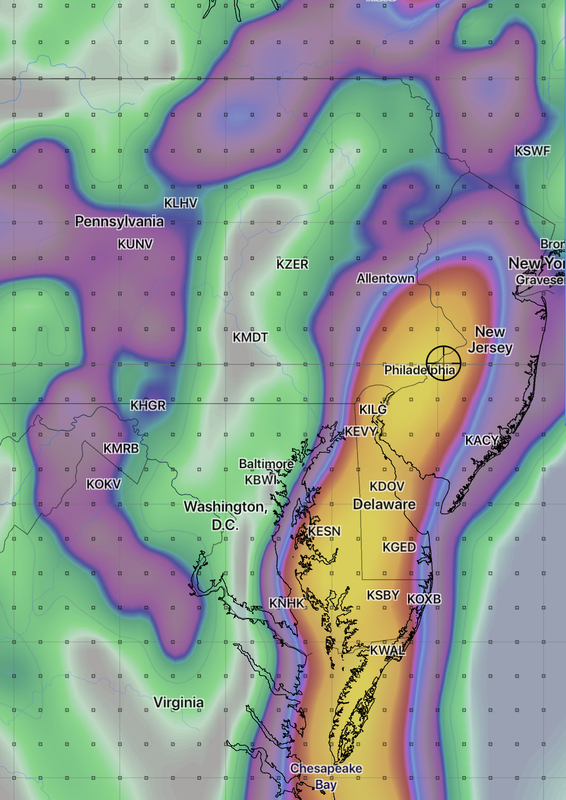 The GFS is predicting close to two inches of rain Friday evening through Saturday morning. That said, here’s the current outlook- rain expected Friday night should end by late morning Saturday. There may be partial clearing Saturday afternoon. Possibly some sun. It will be windy. Sunday may start dry with a mix of clouds and sun, but thermal instability from the upper low may cause clouds and widely scattered showers to develop Sunday afternoon. This weather outlook is a lower than average confidence forecast. I’ll update Friday evening.